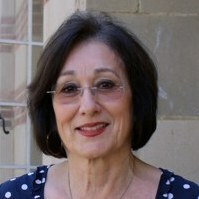 Patricia Gándara is Professor of Education at UCLA. Her professional interests in graduate teaching include education policy/education reform, social context of learning, learning and assessment, and educational equity/bilingual and multicultural education. She is currently the co-director of the Civil Rights Project/Proyecto Derechos Civiles. She was President of the Sociology of Education Association in 1995 and Chair of the UC Linguistic Minority Research Institute in 1995. She has also been Chair of the Program Committee for Division G and Chair of the Hispanic SIG of the American Educational Research Association.